Having trouble streching your Social Security/Pension? Well hell, move to Chiang Mai! Note: There are hundreds. 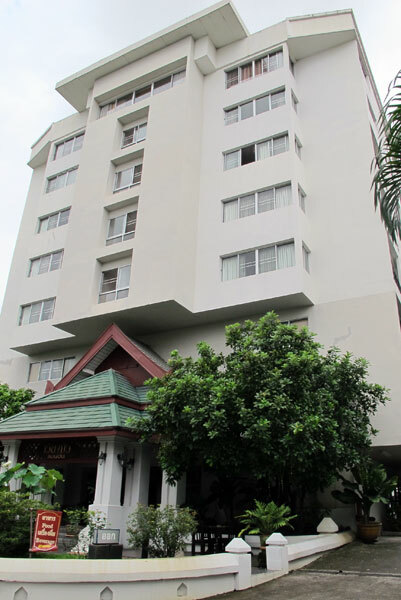 if not thousands, of condos to rent in Chiang Mai in addition to the PP Condomium. Shoot, you’re probably spending more than $109.38 a MONTH to live in your Mom’s basement! For a special night out in Chiang Mai, it doesn’t get more luxurious than Le Grand Lanna at Mandarin Oriental Dhara Dhevi. 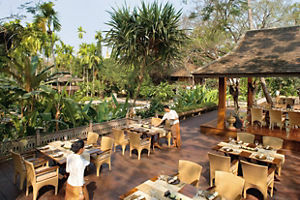 In a beautifully decorated open-air Lanna teak house, you can dine in style while taking in traditional dance and music performances from a troupe of talented artistes. And now, a completely revamped menu has been unveiled, courtesy of the restaurant’s two brand new chefs from Central Thailand – twin sisters Virat and Vilai Kanjan. Experts in both taste and presentation and specially trained in the art of fruit and vegetable carving, the Kanjan sisters learned to cook from their parents and have been doing so professionally since 19 at luxury hotels throughout Asia, and even at His Majesty the King’s palace. Their dishes are healthy and delicious, using fresh produce from the Royal Project Foundation and conveying a deep knowledge of the intricacies of traditional Thai cooking as well as a flair for creative fusion. Opt for one of their sumptuous set menus or go a la carte. Appetisers are conveniently served in a variety of portion sizes to share, from deep-fried crab spring rolls served with plum sauce to spicy papaya salad with soft shell crab to roasted coconut with dried shrimps, lime and ginger in a crispy cup. We swooned over the rich and slightly spicy tom kha soup, served in a coconut with succulent seafood and straw mushrooms, but saved room for the stunning mains, which included falling-off-the-bone southern style braised lamb shank with lotus seeds and pickled vegetable, a delightfully flavourful and perfectly textured deep-fried snow fish with organic Thai herbs and a dazzlingly presented stir-fried Canadian lobster cooked Thai-style with yellow curry and egg. For dessert, the taro dumplings in warm coconut milk with salted egg yolk and seasonal fruits was a perfect finale to a meal fit for a king. Want to learn to cook from the masters? Chef Virat is now overseeing Mandarin Oriental Dhara Dhevi’s Oriental Culinary Academy, which offers daily cooking classes with market tours and hands-on practice starting at 2,800 baht per person. Open Daily for Lunch, 11:30 a.m. – 2:30 p.m., Dinner, 6:30 – 10:30 p.m.
Chiang Mai, Thailand – Mandarin Oriental – Dhara Dhevi – PRICELESS! Chiang Mai – I’m beginning to hate Sundays! 1. Because Sunday, I need to bag my dirty clothes and take next door to the laundry. $4 a week to wash, iron, fold, and bag. OUTRAGEOUS! 2. Because Sunday, I need to change the sign from ‘Do Not Dsiturb’ to, ‘Please Clean Up Room’. They don’t seem to remember it’s Sunday, if I don’t change the sign. 3. Because Sunday, I need to walk 10 minutes to a hotel for a killa’ breakfast buffet. Why can’t it be five? It’s hard to imagine Chiang Mai without the smattering of hotels that now occupy almost every block in the city. Before 1921, however, there were none. Then came the Terminus Hotel (see photo above), Chiang Mai’s first accommodation built for tourists, which was founded by Queen Rama VII. Even though the opening of new hotels seems like somewhat of a daily occurrence these days, some hotels have become part of Chiang Mai’s deep history. 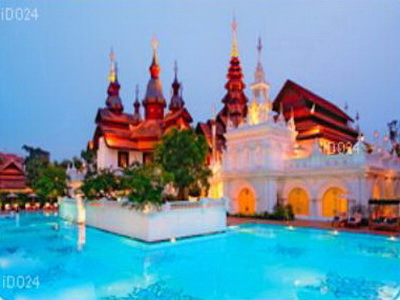 For example, The Sriprakard Hotel was opened by the first mayor of Chiang Mai, Luang Sriprakard. A short time later, a group of hill tribe people began to sell things in front of the hotel on Chang Klan Road. Little did they know, many years later, this tradition would carry on in what we now know as the famed Night Bazaar. Some of Chiang Mai’s hotels are more famous than others. 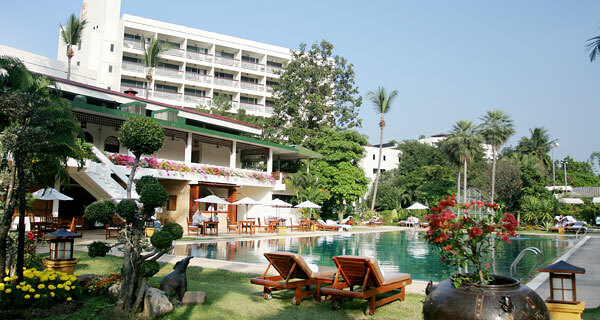 The Chiang Mai Orchid (then Hyatt), for example, housed the likes of Lady Diana and Prince Charles and Prince Chow and Rkihito (the Prince of Japan) during what was called ‘Visit Thailand Year’ in 1989. The Orchid was also used as one of the locations in the film ‘Rambo’ as well as being Mel Gibson’s stomping ground during the filming of ‘Air America’. Chiang Mai is home to some of the best luxury resorts in Thailand. Travel + Leisure Magazine has recognised The Mandarin Oriental Dhara Dhevi and The Four Seasons Resort as being among the BEST in the WORLD, recently awarding them the No. 1 and No. 4 spots respectively. 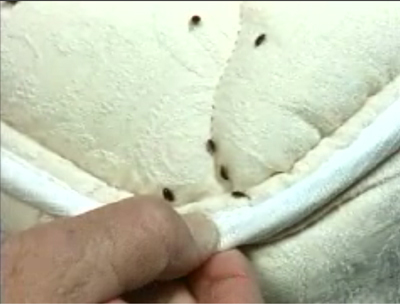 A toxic bedbug spray may have contributed to the death of New Zealander Sarah Carter in Thailand. The 23-year-old died in February while holidaying with friends in Chiang Mai. Initial reports indicating toxic seaweed was to blame have since been discounted by the families, but investigations are ongoing. A 60 Minutes investigation has revealed the hotel rooms had been sprayed with a potentially lethal toxin called pyrophus which has been banned from indoor use in SOME OTHER countries. Greeting from Amari Rincome Chiang Mai ka. I’m Ping- the HR Manager of Amari Rincome. It is my sadness to announce that on 1st May 2011, the 42-year old Amari Rincome Chiang Mai will close its doors to facilitate a new urban development project which will include a new, smaller Amari hotel. The 85-room property will be part of a larger redevelopment project which includes a community mall, retail areas, cinemas and restaurants. Amari Rincome has been an integral part of the local community for over 40 years. It is therefore with sadness that we announce the end of this particular era. My team members were officially informed yesterday regarding to the transformation plan issue and their last working day will be on 30th April which coming very soon. However, it will be my great pleasure to have your kind support for the list of vacancies in your property. This will be very useful information for my team to prepare and plan themselves for those who could not travel out to be a part of others Amari properties. Hope to hear from all of you very soon. And sorry if I miss some contact. It’s a very nice hotel, and wish them the very best with their new venture. However, what I’m going to miss most is the wonderful lunch buffet at the La Gritta Restaurant. The building is a modern eight-story high rise, and is approximately five-YEARS-old. Note: The maintenance, unlike many places in S.E. Asia is outstanding, and could easily be, ‘five-MONTHS-old’. The lobby and the rooms are beautifully designed in the Lanna (Northern Thai) style. Reference – Photo Gallery: Rooms, Lobby, Coffee Shop, and City View. Note: They might not always be available when you book, but if I were you, I would request to be on the mountain side; i.e. the Doi Suthep side. First of all, it’s NOT in the touristy Night Bazaar/Thapae Gate area, nor is it in the yuppified Ninmanheiman area; which by the way, I love both areas of town. Q: Where is it then? A: It’s in a very Thai neighborhood called Chang Puek, which is located about a mile north of the moat. Q: Why would I want to stay there? A: Well, presumably you are coming to Thailand to ‘experience Thailand’; in Chang Puek you can do that, 24/7. A: Right next door to the Viangbua is the Thanin Market, which I believe is the FINEST market in Chiang Mai. I mean it’s got everything: food stalls, fresh fruits and vegetables, bakery goods, everythinggggg! Q: What if I want to buy a bag of Pepperidge Farm Milk Chocolate Macadamia Cookies ®; does the Thainin Market have those; huh, huh, huh? A: Possibly/probably not, but a five-minute walk up the main road is a newly renovated Tops Supermarket, and they got ‘em, plus a gazillion other items to cure the ‘homesick blues’. Q: I KNOW I will want to go the Night Bazaar/Taepae Gate and the Nimmanheiman areas; how do I get there? A: If you ended up eating the WHOLE bag of Pepperidge Farm Milk Chocolate Macademia Cookies ® I would suggest you might want to spend twenty-thirty minutes walking to the above mention areas via the very colorful back streets (sois). Q: Are there other means of transportation available? From the guard out front, to the desk staff, to the housekeepers, to the Manager, it is ‘absolutely top of the line’. There’s a beauty shop, and a room with washers and dryers on the ground floor; and a fitness room on the second floor. Viangbua Mansion has cable TV and WIFI in each room, and free internet access in the lobby. Unlike many hotels in Thailand, the rooms come with very good American style showers, and ALWAYS a sufficient supply of hot water. >>> Reference – Photo Gallery: restaurant, fitness room, etc, etc. 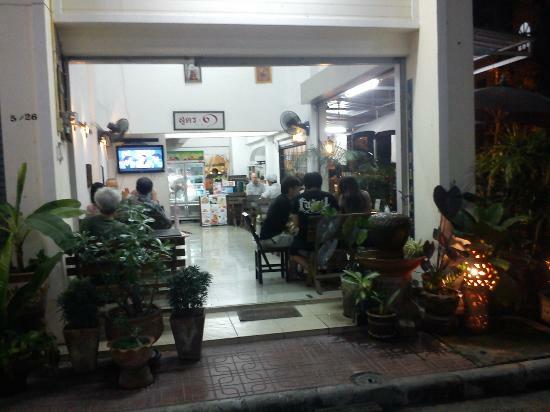 The restaurant is open from 7 until 3 and serves both Thai and Falang (foreign) dishes. Room service is available, as has a coffee shop in the lobby. In addition to the food stalls next door at the Thainin market, directly across the street is the Spirit House Restaurant and Bar. In addition to the guard out front, security is tight throughout the building because you need a electronic floor specific keycard to access the elevator and stairwell, and of course the guest rooms. Every room has a safe. 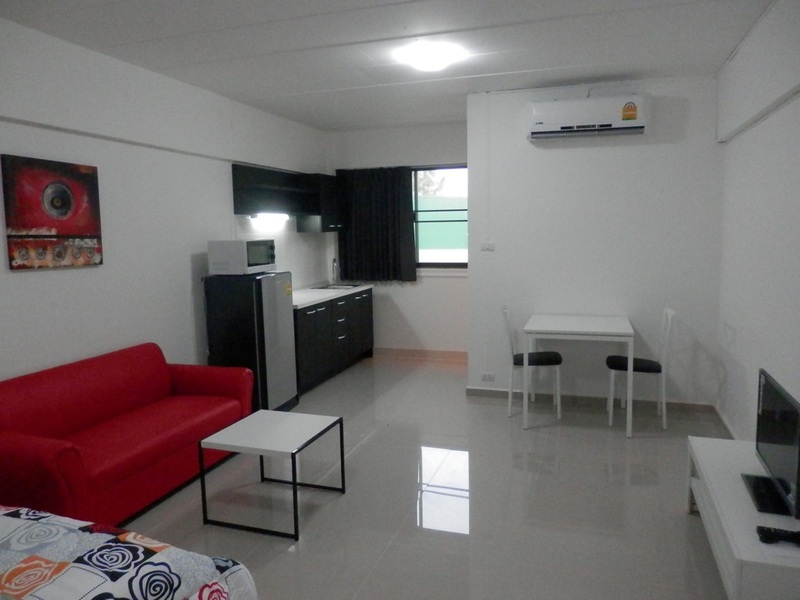 There are several types of rooms, ranging from studios to one bedroom; with daily, weekly, and monthly rates. First of all, Chiang Mai has an incredibly wide range of accommodations, ranging from the top end Four Seasons and Mandarin Oriental, to very good Guest Houses, to unbelievably skanky Guest Houses. However, baht for baht, dollar for dollar, I believe the Viangbua Mansion is a TERRIFIC VALUE, whether for a single night, or an extended stay.